The Mines and Geosciences Bureau Regional Office No. XIII took part in the Inception Workshop on the Integrated Approach in the Management of Major Biodiversity Corridors in the Philippines Project on August 23-24, 2018 at the Almont Inland Resort in Butuan City. The workshop was hosted by the United Nations Development Programme (UNDP). 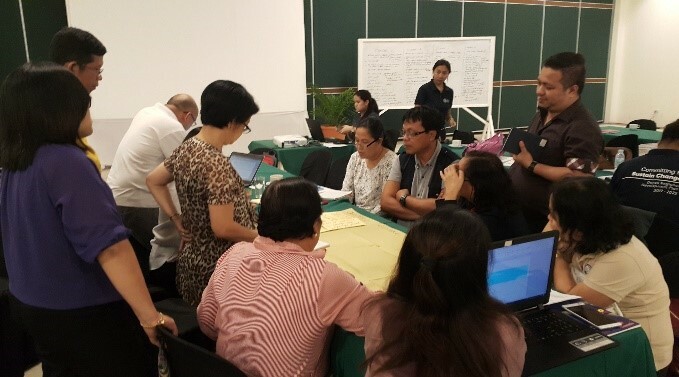 It was participated by Technical Working Groups (TWGs), government agencies (Regions XI & XIII), non-government agencies and members of the academe within Key Biodiversity Area (KBA) clusters. The purpose of the inception workshop was to level off with the stakeholders and to solicit valuable inputs and recommendations regarding the finalization of the project concept and design. The proponent will also conduct technical and scientific studies based on actual and realistic situation through baseline analysis or spatial analysis of the proposed KBA clusters. 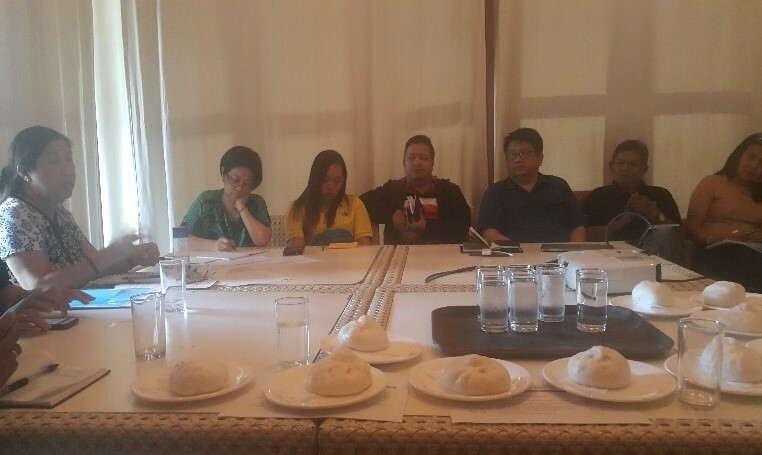 On August 23, the Assistant Secretary of Biodiversity Management Bureau presented the Rationale of the Integrated Approach to the Management of Major Biodiversity Corridors in the Philippines. It was then followed by the UNDP consultants’ presentation on Enhancing Biodiversity, Maintaining Ecosystem Flows, and Enhancing Carbon Stocks through Sustainable Land Management and the Restoration of Degraded Forestlands, and Integrated Approach in the Management of Major Biodiversity Corridors in the Philippines. Salient points of Philippine Biodiversity Strategy and Action Plan (PBSAP); Policies that can potentially affect Biodiversity Corridors: Republic Act No. 7942 (Philippine Mining Act of 1995), DENR Administrative Order No. 99-53 (Regulations Governing the Integrated Forest Management Program); and Caraga Regional Development Plan relevant to Project Preparation Grant (PPG) of Biodiversity Corridors. Possible Enhanced National Greening Program (ENGP) “models” established through the project. During the UNDP consultants’ presentations, a thematic map of KBA clusters based on the 2010 baseline data spatial analysis that delineates areas in Regions XI and XIII which have potential for biodiversity was shown. Most of the clusters in the aforementioned regions are within MPSA areas and other tenurial instruments. With this, the consultants presented the No Net Loss (NNL) approach for accessing and mitigating the impact of projects on High Conservation Values (HCVs) that include the MPSA areas. The NNL approach utilizes the mitigating hierarchy of avoidance, minimization, rehabilitation, and offsetting if there is a residual impact. Application of exploration activities KBA must be included. In addition, the balance of Mineral Reservation vis-a-vis Biodiversity Conservation hang on to this discussion. Capacity building on biodiversity conservation not only for mining companies but for MGB and EMB as well. On August 24, the National Economic and Development Authority Regional Office Nos. XI and XIII and Mount Hamiguitan Range Wildlife Sanctuary gave presentations. Accomplishment Monitoring Form on Maintaining Ecological Integrity and Clean and Healthy Environment. Noteworthy practices undertaken by the respective stakeholders of Mount Hamiguitan Range Wildlife Sanctuary (MHRWS). In the afternoon, the Barista Workshop was conducted wherein the participants were grouped into four café bars such as the Institution Coordination Mechanisms Café Bar; the Treats, Risks, and Assumptions GEF-assisted Project Implementation Café Bar; the Local Level Initiatives of Government Environment Facility (GEF) Assisted Project Build-on Café Bar; and the Community-based Initiative Café Bar. Various programs, projects and activities were explored and discussed during the said workshop. The workshop concluded with the brief presentations on respective matters discussed by each group. The inception workshop culminated in a photo session.